Pekes Houses07776 298405work Self-cateringIn the grounds of a Tudor (16th century) Manor House, up a drive of 350 yards with unspoilt views of the Sussex countryside, PEKES offers a unique self-catering holiday. Peaceful, yet close to London with exceptional freedom to use the facilities: exotic indoor heated swimming pool, sauna/jacuzzi, lawn badminton and hard Macadam style tennis court. Fabulous large Oast House for seven to eleven people. 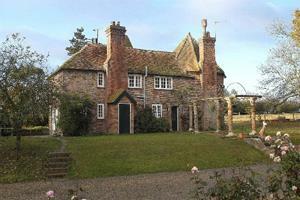 Four period cottages for four to eight people. Very well equipped with colour television, radio CD, DVD & video players, full central heating, washing machines, tumble dryers, fridge/freezers, microwave ovens and dishwashers. Children and obedient dogs welcome. Tourist board graded 3 star to 4 star. Open all year. Short breaks subject to availability from Friday to Monday (3 nights) or Monday to Friday (4 Nights). Oast House £900.00 - £1155.00 per break. Mounts View £500.00 - £710.00 per break. Others £258.00 - £536.00 per break. All prices exclude Christmas and New Year. To contact at weekends please telephone 01825 872229. In the grounds of a Tudor (16th century) Manor House, up a drive of 350 yards with unspoilt views of the Sussex countryside, PEKES offers a unique self-catering holiday.